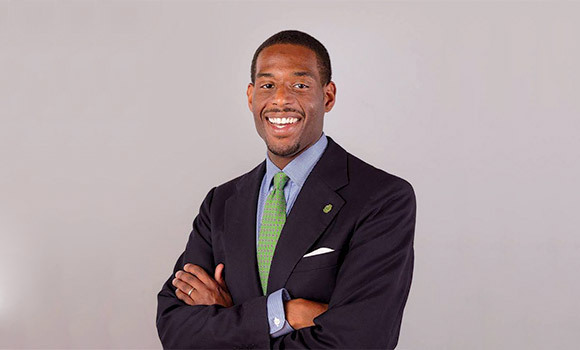 UNC Greensboro today announced that Greensboro city councilman, attorney, and UNCG alumnus Justin Outling will deliver the keynote address at the University’s Dec. 7 Commencement Ceremony. More than 2,000 students are expected to receive degrees at the ceremony. Commencement will take place Friday, Dec. 7, at 10 a.m. at the Greensboro Coliseum. A live stream will be available for faculty, staff, family, and friends who are unable to attend in person. The University’s Doctoral Hooding Ceremony will take place on Thursday, Dec. 6, at 3 p.m. in UNCG Auditorium. To learn more, visit the Commencement Central website.